Neha's Blog: Do you believe in Magic? Don't we all want to possess the powers to get whatever we want? At least I do. Magic - it fascinates me so much. You can get anything and everything with just a blink of an eye. Erm, the nice me always thinks of using the magic in a nice way that does not harm anybody, but yes, magic all around you - the thought only brings a smile on my face. I was never into watching cartoons during my kidster days. I still do not know the names of famous cartoon characters, from status messages updated by friends, I realised that Garfield hates Mondays, show me a few images of cartoons and I will not be able to identify them. I used to paint, and once I had made a backdrop of a few cartoon characters. There were four heads involved to prepare the backdrop - three cartoon geniuses and the hopeless me. I painted Jerry and Archie comics characters - Archie, Betty, Veronica and Jughead. And that was an achievement as for the first time, I knew about more than one name in a particular cartoon show. I never even read comics. I have read NONE of them so far. I listen to people like a dumb alien when they discuss comics! By the way, does Shinchan fall under cartoon category? I watch that these days. Going back to my earlier days, I always preferred to watch sports and news. Once I happened to watch I dream of Jeannie and Bewitched. I fell in love with those characters and their powers. I started thinking about possessing those powers too. My each and every act was now influenced. All disappointments had only one if - if only I had magical powers like Jeannie and Samantha! I always tried to cast a spell by blinking my eyes and hoped for the magic to work. Now, don't get ideas about my disappointments. I am talking about school days, where a big thing was the first rank that I usually missed by a few marks (ah, the brilliant me), or when I never got to bat in a cricket match as I was a girl (sigh!) and few more stupid things. When I entered college, there was Harry Potter fever all around. Almost everyone discussed about Goblet of Fire book and Sorcerer's Stone movie. Suddenly, Hogwarts school became for real, wand was waiting for me to be chosen, so were the school houses. All I had to do was to find out where it was. My Harry Potter obsession kept on increasing with time. To an extent that I started reading those books again and again. My last count of reading all the books and watching each movie must be at least 50 times (more, but not less). In short, so far my wish has always been to become the magician, or a Jeannie or a witch - anything that had magical powers. I loved the feeling of performing magic and get things done. It all seemed so easy and convenient. Though quite late, but I did become sane and realized that I cannot get a phoenix core wand to perform the magic. Sigh!! But the truth and realization is bitter if you believe them to be the only right thing. Believe in magic and it will be all around you. Imagine a situation. You are leading a busy and stressful life. Each day, you work late nights. Your working hours are anything between 14 to 18 hrs each day. You even work on a Sunday. All you need is a bit of peace of mind, a bit of entertainment, fun, love, pampering and magic. Yes, magic. Try to believe that it exists. And it will make you happy. It will bring a smile on your face at the end of a super hectic day. Your heart will believe that the magic exists and the magician performs it for you. I come home each day after a hectic schedule. I feel stressed out, but I have magic around me. I have a magician around me. The thought itself brings a smile on my face. I am no longer the tired and stressed out Neha. I am the same old Neha who wanted to perform magic to get the first rank that she lost due to 3 marks she didn't score in history, the same Neha who believed that Hogwarts does exist. The same old Neha for whom the wand is waiting to be picked up. PS: Believe in magic and this post will make sense to you. Wow! that's a wonderful thought that if we believe magic is all around us and I totally agree with you on that. In the long run you may not like it if the Geanie does everything for you. Like Lucipher (Mandrake's arch enemy) misused the powers of magic. REF: Harry Potter and the Prisoner of Azkaban. Aahh! I can understand how you feel girl :) Who else can understand, other than a person who wished to join Hogwarts :) I dont believe about magic in real life though. But I still love HP, simply for everything in it!!!! Wonderful post dear, in fact I would called it a "Magical" post :). I too used to watch Jeannie and Samantha a lot on the TV, but from the very beginning I wished I had some one like them along side me who can do the magic and bring me what I want. I m at work and after reading your work, I am beginning to feel magic around me and suddenly all that frowning faces seems smiling at me!!! I dont know anything at all about HP. You know that very well. And when you tagged me as Harry Potter, I dont even know why you tagged me!! :-S My knowledge on HP is zilch! I do love Popeye, Tom & Jerry, Johnny Bravo. Popeye is a strong man, Bravo is the handsome hunk - I wanted such a man!! Tom & Jerry are cute. Sigh!! Its such a tedious process to just get visitor visa to some countries!! had I had that broom..I would have Whhhoooooooooooshhhhhhhhhhhh.....Wwwwhhhhooooooooooosssshhhhhhhhhh in seconds!! Magic does exist all around us. Some of us fail to see it. But still i want to be a witch... my life would have been so much easier. I just want only one power to go somewhere(i hope you know where) :P.
Magic is truly magical! Brings a smile to your face, with the eyebrows and spirits lifted high, no matter how down-in-the-dumps you feel. And like you said, magic is all around you, if only you would see. You needn't wish you knew magic. You know it already as you have weaved optimism around fellow bloggers with magic of your words. I dont mind being called a witch!! I just need a broom or a flying carpet! I loved the way you mentioned all the characters , they have all been our favourites at one time of the other.. To tell you very truthfully I am a bit of kid and any given chance I do see the characters .. I remember when as a kid, my younger cousin ate up my chocolate, I was so angry that I stood in the middle of the room in rage and did the Samantha face at him. Needless to say, everybody was in splits and no one lets me live that down to this date. With the transition from wanting to do magic to wanting someone to do the magic for you, you have transformed from the Harry Potter phase to the Bartimaeus trilogy phase! But Harry Potter was never my thing. I tried many times to read the books but I just couldn't like them. Do I believe in magic...hmm I don't know. But I do dream of a wonderful genie everyday...the one who will have dinner ready when I come hope tired from work, who has done the cleaning and the ironing ...oh wait a minute I think I need amaid!! Seriously, I am not sure about magic. I did believe in it as a child...but these days it's all tricks and illusions. But I loved reading cartoons all my life...Batman, Superman, Spiderman, Archie, Garfiled...all of them are huge favourites. I do ,seriously,I do believe in magic and am sure soon the gennie will come and ask me for my 10 wishes.My wish list is ready. 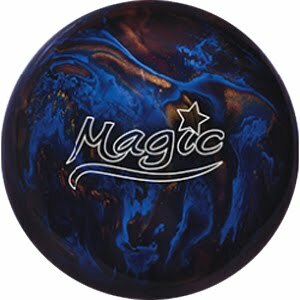 its magic...its magic...i hated that song but i certainly love magic. 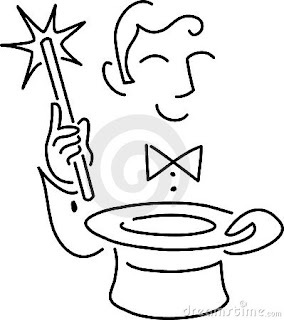 I still recollect those magic shows in my building during new year...boy i used to be mesmerized. There are days i wish i knew enough magic. Thats why your mad at Harry Potter...lol!! Brining smile on some1's face is i guess magic :)!! I believe in Magic though I don't see it. @ NR, I am totally and completely mad about Harry Potter..